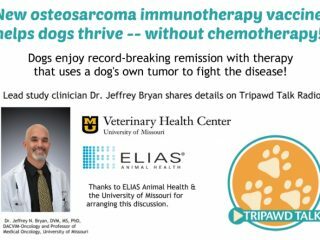 Today on Tripawd Talk Radio, Dr. Alane Cahalane explains how to help our Tripawds get great vet care through better trust and communication with our veterinary partners. 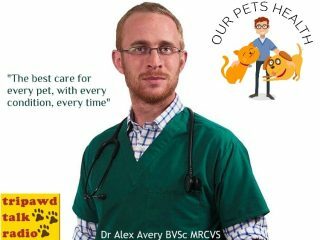 Learn what devoted Hong Kong pet parents can teach us about dog and cat family members, with Dr. Alane K. Cahalane, DVM, BSc, MA, DVM, DACVS, of Veterinary Specialty Hospital of Hong Kong. 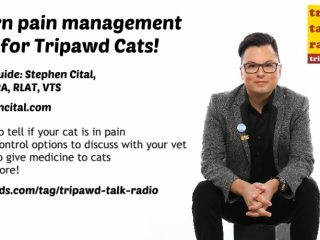 In this episode of Tripawd Talk Radio, meet Dr. Julie Buzby, a veterinary chiropractor, acupuncturist and the inventor of Toe Grips, a no-slip product that helps with Tripawds traction to live longer, happier lives on three legs. 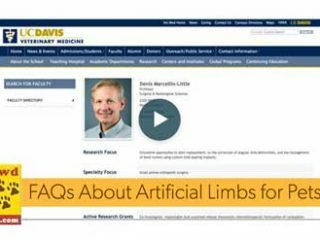 Learn all about the benefits of rehab therapy for Tripawds today on Tripawd Talk Radio, with veterinary rehabilitation therapist Dr. Amy Kramer of Southern California’s Beach Animal Rehabilitation Center. If your Tripawd became paralyzed would you know what to do? 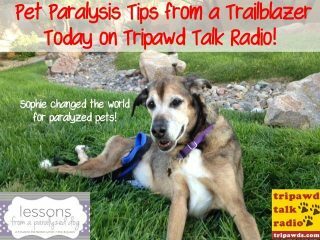 Sharon Seltzer of “Lessons from a Paralyzed Dog” is here to help, today on Tripawd Talk Radio.